To complete the Datamath Calculator Museum we need your help. Up to now we got no picture or technical data of the calculator you searched for. Maybe you already own one? We like to ask you if we can place your picture here? Thanks for your help to complete my little Datamath Museum. To give a homogeneous look and feel of the pictures I recommend the following technique of scanning. 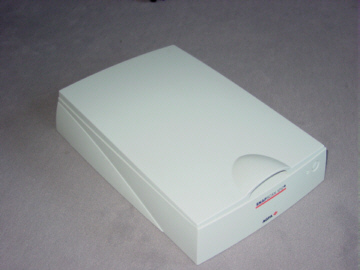 Best results were given with an oldfashioned scanner using a lamp and moving optics instead of a LED-array. 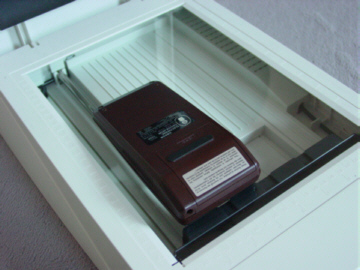 Place the calculator roughly 1 inch away from the front of the scanner-window. The calculator should be 1 inch away from the left side of the scanner, please align the calculator carefully. Position the calculator in a direction that the displays "shows" to your direction. This position gives due to the optical path of the scanner some kind of 3D-imagination. If the depth-of-field gets large, e.g. some desktop calculator it is better to align the calculator in the middle of the scanner. Place a light-blue paper above the calculator to give a neat background. The paper shouldn't be too dark. Scan with a resolution of 150 dots/inch and leave a border of minimum 0.5 inch around the calculator. Store the picture in .jpg or .tif format. 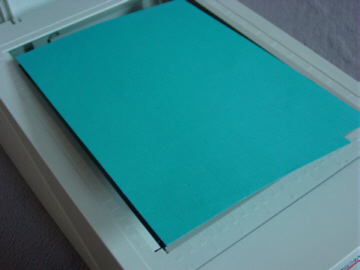 If your scanner software distinguishes between object sources, try "matt photopaper". For most collectors some technical specifications are from high interest. Please feel free to decide whether you will disassemble your calculator or not. Batteries Number, Size, Type, Rechargable ? If you provide us your email address or a link to your website we gladly add it to the calculator description. You may reach us here: joerg@datamath.org. © Joerg Woerner, May 25, 2002. No reprints without written permission.